Nose: A beautiful and elegant nose – inviting and complex with juicy juniper, soft berry notes and warm spice. Palate: Delightful mouthful – thick and really coats the tongue. Good, strong juniper combined with plump berry notes and spicy coriander. Superb balance and super smooth. Finish: A little resinous with a touch of violet, before a lingering citrus spiciness and a pinch of pepper. 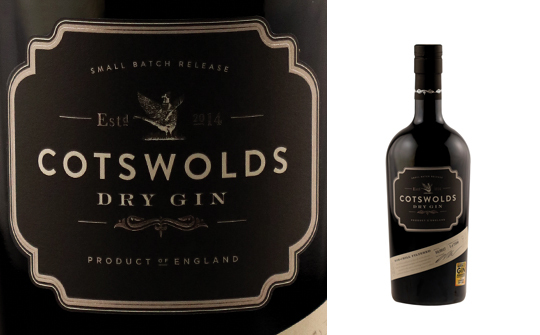 Comments: A fantastic gin with a harmonious array of flavour that is extremely sippable. Nose: Complex with juniper and warm spices at first – nutmeg, coriander seed, cinnamon and vanilla – with orange peel and honeysuckle coming through along with herbal notes of sage, basil and mint. Palate: Big oily mouthfeel with zingy citrus freshness. Its high ABV brings out the flavours without too much burn. Finish: Full, rounded and slightly oily finish with all the traditional gin flavours lingering. Comments: Could be sipped or in a Negroni. A well-balanced and adaptable gin.